Chinnor and its surrounding hamlets are part of the ancient chain of villages following the spring line at the foot of the Chiltern escarpment, right on the edge of the Chiltern Hills. The surrounding countryside is an Area of Outstanding Natural Beauty, home to infamous Red Kites, and with many wonderful walks and numerous bridle tracks to explore. Chinnor’s main attractions are its twelfth-century Saint Andrews Church, a steam and vintage diesel heritage railway line and the restored Chinnor Windmill. There are three pubs in the village and a plethora of nearby country pubs – most notably The Sir Charles Napier, a Michelin Starred restaurant with an exquisite seasonal menu and stunning gardens to be explored, while an impressive selection of independent eateries can be sampled in the adjoining villages of Princess Risborough, High Wycombe and Thame. In particular, The Swan, at Tetsworth, serves superb French cuisine, while The Leathern Bottle, Lewknor and The Shepherd’s Crook, Crowell are wonderful for quick bites to eat. With a population of around 7,000, the village centre is well served with two supermarkets, two cafes, takeaways and two Indian restaurants. Chinnor Library and the incredible charity Wee Book Shop & Cafe feed the mind. For education, the village has two primary schools, pre-school, nursery schools and nearby Lord William’s popular comprehensive school. Chinnor lies about four miles south of Thame and is within a 30-40 minute drive of Oxford, Aylesbury and High Wycombe and just 4 miles away from junction 6 of the M40 motorway providing easy access to the North and South and Princes Risborough station with fast regular rail links to both Marylebone and Birmingham. Thame is a wonderfully traditional market town located close to the Chiltern Hills and the historic City of Oxford. The bustling High Street boasts a good range of award-winning, independent shops including the renowned Newitts Butchers and What’s Cooking which provides a vast selection of delicatessen foods as well as many lovely restaurants, public houses, coffee shops and supermarkets, including Waitrose, Sainsbury’s and the Co-Op. 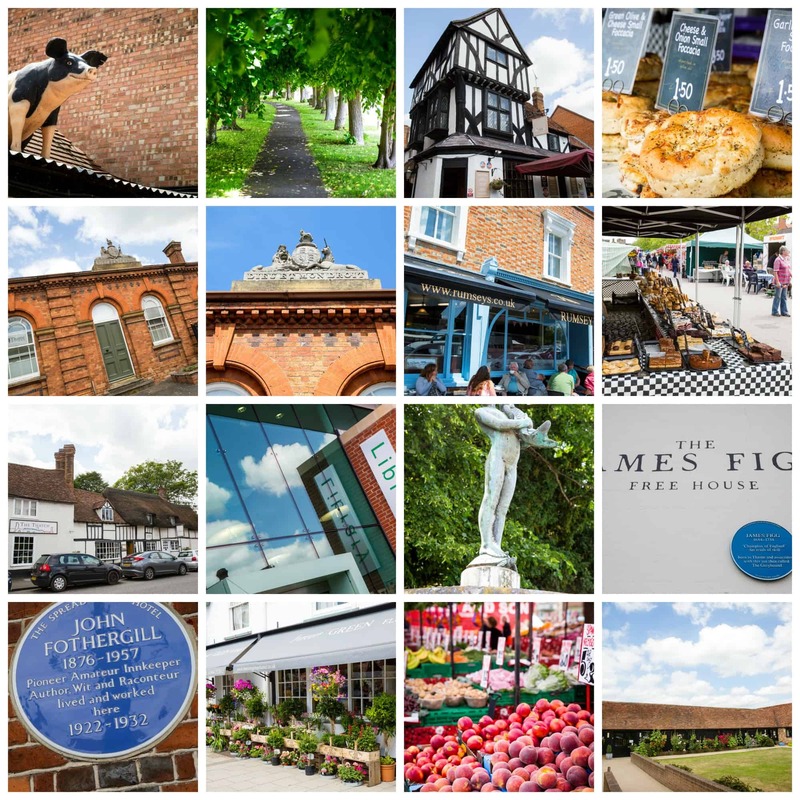 The town is home to a thriving market each Tuesday which has been held in Thame for over 800 years, along with a hugely popular farmers’ market held once a month and a traditional cattle market every week. It is also well served with ample parking, including over 600 free car parking spaces. For walkers, cyclists and nature-lovers, Thame is perfectly placed to make the most of the beautiful South Oxfordshire countryside. Cuttlebrook, Thames award-winning nature reserve, offers a rich diversity of wildlife and a network of footpaths to explore. The picturesque Phoenix Trail, running along the old railway route from Thame to Princes Risborough, is a pleasant place for an afternoon stroll but, for longer walks, it’s possible to join the Ridgeway Path, Britain’s oldest track that runs to the south of Thame on its way from Wiltshire to Buckinghamshire. Education in the area is excellent and the schools within Thame have a superb reputation, with three primary schools and Lord Williams Secondary School. There are also several private schools in the area with Ashfold Preparatory school being located close by in the village of Dorton. Thame is superbly positioned for the commuter with links to London. The Train station at Haddenham is a short 5 minutes away, providing a direct route to London Marylebone in 36 minutes, whilst the M40 motorway is a short drive from Thame providing access to the national motorway networks. Oxford City Centre is approximately 20 minutes away.